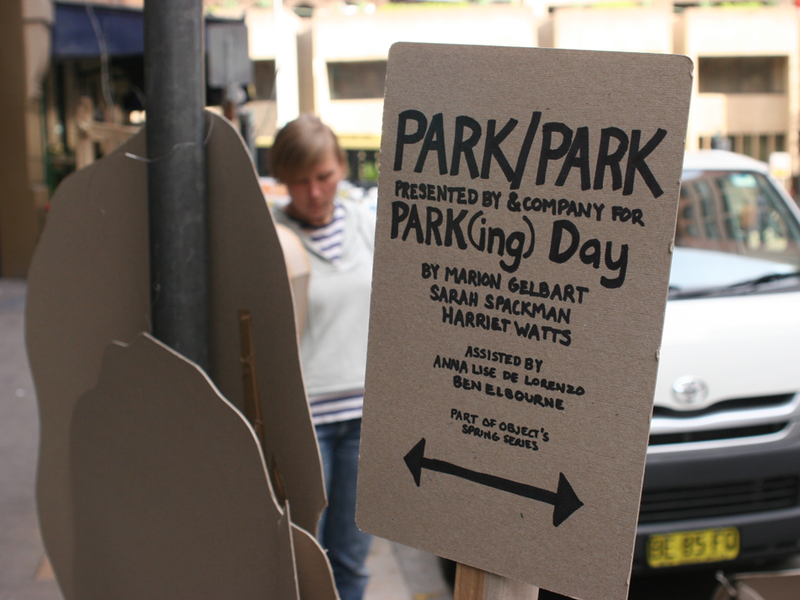 Park / Park is a collaboration between designers Marion Gelbart, Sarah Spackman and Harriet Watts, presented by &Company. 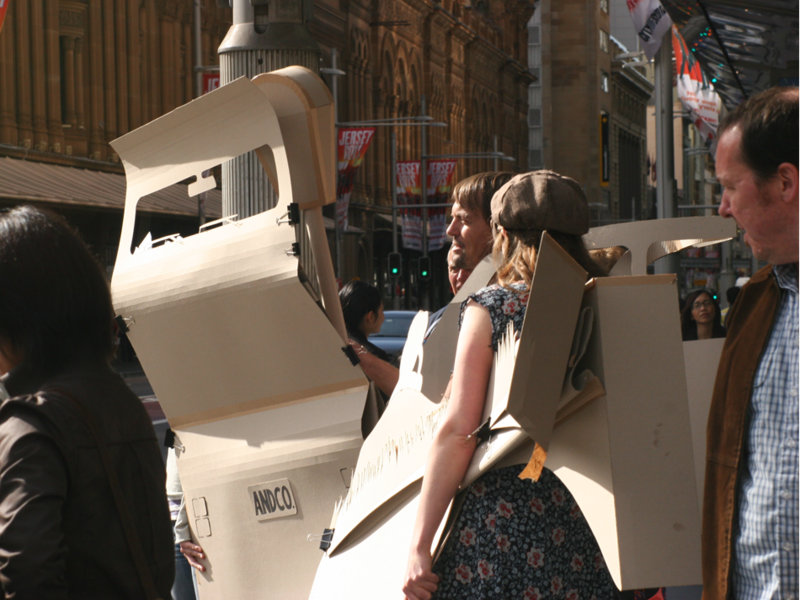 The project explores how we choose to use and activate public space in our cities by participating in International PARK(ing) Day 2010, and ‘parking’ a pop-up installation across the Sydney CBD during a busy mid-week peak time. PARK(ing) day, an annual worldwide event where metered parking spaces are transformed into temporary public spaces, enables precious urban real estate to be leased on a short-term basis simply by paying the meter. The team was invited to present the project at Gaffa Gallery following the pop-up installation across the city. 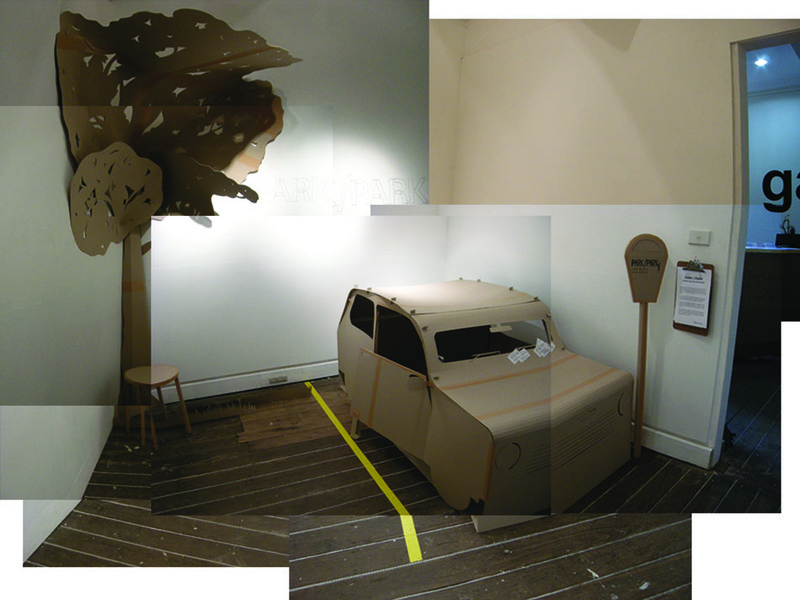 Park / Park was also selected for inclusion in the exhibition ‘DIY Urbanism: The Right to the City’, Tin Sheds Gallery, Sydney, in April 2011. The project was reviewed by Australian Design Review.